Shingrix Vaccine Against Shingles Remains In Short Supply : Shots - Health News This holiday season, the must-have item for people of a certain age is a vaccine to protect against shingles, the painful skin condition caused by a reawakening of the chickenpox virus. The shortage is a nationwide problem. And the cause, according to the drug's manufacturer, GlaxoSmithKline, is simple: "Unprecedented demand." If you're 50 or older, Judith Strull's story might sound familiar. Told by her doctor last month to get the shingles vaccine, Shingrix, Strull went to her local CVS in Newton, Mass., expecting a quick in-and-out procedure — like getting a flu shot. The pharmacist, however, said the store had no Shingrix left in stock. Strull's doctor had explained that two doses of the vaccine within six months would be more than 90 percent effective at preventing shingles, so it made sense to her that demand was high. She'd just have to try another store, she figured. But at the second location, it was the same story: no Shingrix. Having watched her aunt almost go blind from a bad case of shingles, she was determined to find the vaccine. "I think everybody in this age group knows somebody who had either a compromised immune system or, for some reason, got shingles," says Strull, a psychotherapist. "It's supposed to be terrible." She called every CVS pharmacy in the area. Walgreens. Other pharmacies. They were all out. She tried websites that aim to show which pharmacies have the vaccine in stock but found they were inaccurate. "They tell you one thing, and then you call and they say, 'Sorry, we're out of it,' " Strull says. She asked around and learned that other people she knew also were scrambling to find Shingrix; even doctors she knew couldn't find a dose for themselves, let alone their patients. The shortage is a nationwide problem, though anecdotal accounts suggest more of an ever-shifting patchwork of supply. And the cause, according to the drug's manufacturer, GlaxoSmithKline, is simple: "Unprecedented demand." "When they developed this vaccine, they had no idea that the public would be so anxious to have this," says Dr. Richard Dupee, chief of geriatrics at Tufts Medical Center. The previous shingles vaccine, Zostavax, was recommended for healthy people older than 60 and was found to be about 51 percent effective. Shingrix, meanwhile, is 97 percent effective in healthy adults between ages 50 and 69 and 91 percent effective in adults 70 years or older, according to the Centers for Disease Control and Prevention. "It's a remarkably effective vaccine," says Dr. Anne Louise Oaklander, director of the nerve unit at Massachusetts General Hospital. "It's really almost unprecedented to have something that's not only so highly effective but also works [for the elderly, who] are most likely to get shingles and most likely to be left with complications from shingles." The most common side effect is pain in the area of the injection. Other side effects include redness and swelling around the injection site. Muscle weakness, fatigue and headache also have been reported. The Food and Drug Administration approved Shingrix in 2017, and in January the CDC recommended that adults 50 or older get the vaccine. For years, public health officials struggled to get people vaccinated with Zostavax, so similar struggles were expected with Shingrix. But by May, the proverbial floodgates were open, and it was apparent to GlaxoSmithKline that demand was far outpacing supply. "Health care providers are immunizing people at a rate many times that of previous years," company spokesman Sean Clements writes in an email. He says that by the end of September, GlaxoSmithKline had distributed more than 7 million doses of Shingrix, mostly in the United States. The vaccine is made in the U.S. and Europe, and it takes between six and nine months to be produced and get to market. The company has been ramping up production for months, but when the supply and demand curves will meet is not entirely clear. GSK isn't giving a timeline, only assurances that it will try to distribute the supply it has equitably across the country. The CDC, meanwhile, predicts the shortage will continue "throughout 2019," though not everyone is convinced it will take that long. "The production is happening as we speak," says Dupee of Tufts. "I think within the next six months, we're going to have plenty." Insurance plans typically cover Shingrix, though the copayment can vary. The cost per shot at CVS MinuteClinics is $179, according to the company's website. A CDC list puts the price of each Shingrix dose in the private sector at $140. For anyone wondering how to get the vaccine now, Strull's experience illustrates that even in the current shortage, determination may bring results. It took her five weeks, but she found a pharmacy with Shingrix in stock. She got the first dose of the vaccine right after Thanksgiving and has her fingers crossed that she'll be able to get the second round in January. Because older people are at higher risk for shingles, Mass General's Oaklander suggests that younger, healthier people might consider waiting a few more months to get vaccinated, giving older and sicker people precedence. Should you bother trying to get the vaccine? According to the literature and the CDC, and if you're not allergic, yes. If you're at least 50 or have a compromised immune system, you should consider getting the vaccine. In a statement, the CDC recommends using the Vaccine Finder or calling local pharmacies to see which stores have it in stock. The agency also recommends putting your name on a waitlist if your pharmacy has one. Should you get the first dose if you're not sure you can get the second? There are no clinical studies showing how effective one dose of Shingrix is, but specialists I spoke with agree it probably provides at least some protection. CVS tells its pharmacists to prioritize patients who need the second shot, spokeswoman Amy Lanctot says in an email. So if your pharmacy offers to put your name on a list of people waiting for the second dose, that could help. Should you get Zostavax, the old shingles vaccine? If you can't find Shingrix and are 60 or older, it's probably worth getting Zostavax, the CDC says. Though not as effective as Shingrix, it does provide some protection. It also won't preclude you from getting Shingrix in the future. It may help to keep in mind that the shortage is a testament to the vaccine's success. 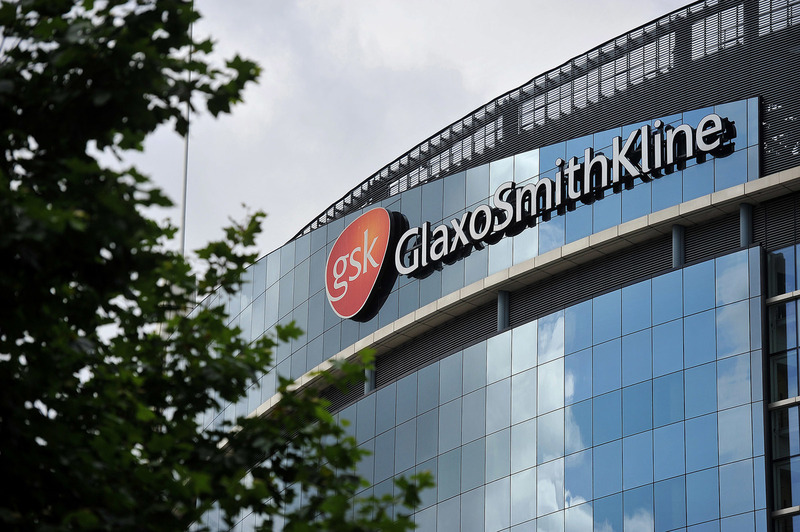 "GlaxoSmithKline just didn't anticipate that there would be such demand," Dupee says. "They're cranking it up, and they'll get it out. It's just a question of time." If you're looking for a silver lining, consider that Shingrix induces a strong immune response that, for many, translates into flu-like symptoms and arm soreness. So maybe it's not such a bad thing to put it off for a bit? A version of this story first ran on WBUR's CommonHealth on Dec. 7, 2018.